The selected LED PJU Street Lights are usually categorized as 'warm light' instead of 'cold light'. Light or white color is identical with a much brighter glance, but for bad weather like smoke, fog, drizzle and rain the color of 'cool light' is not recommended. Whereas the 'warm light' which is identical with yellow is chosen because of security issues. In bad weather conditions it can still penetrate yellow to the retina of our eyes. Is an integrated lamp that uses a light-emitting diode (LED) as a light source. This is considered an integrated lamp because in most cases the luminaire and its fixtures are not separate components (except the LEDGine based luminaires). New in manufacturing, LED light clusters are sealed in panels and then mounted onto LED panels with heat sinks to become integrated lighting fixtures. 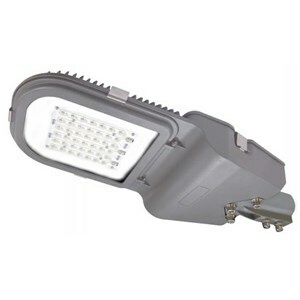 Most of these PJU LED Street Lights have lenses on LED panels, designed to transmit light in rectangular patterns, an advantage over traditional streetlights, which usually have reflectors on the back side of high-pressure sodium lamps. In this case, most of the light illumination is lost and generates light pollution in the air and surrounding environment. Such street lights can also cause glare for drivers and pedestrians. The main attraction of PJU LED Street Light is energy efficiency compared to conventional street lighting technology such as high pressure sodium (HPS) and metal halide (MH). PT. Alson Integra Lumindo Mechanical and Electrical Contractor company leading and advanced in Indonesia. With our experience in project execution, we are pleased to provide the best service and technical expertise to our customers needs.